You'll love this home just steps away from community pool & spa. 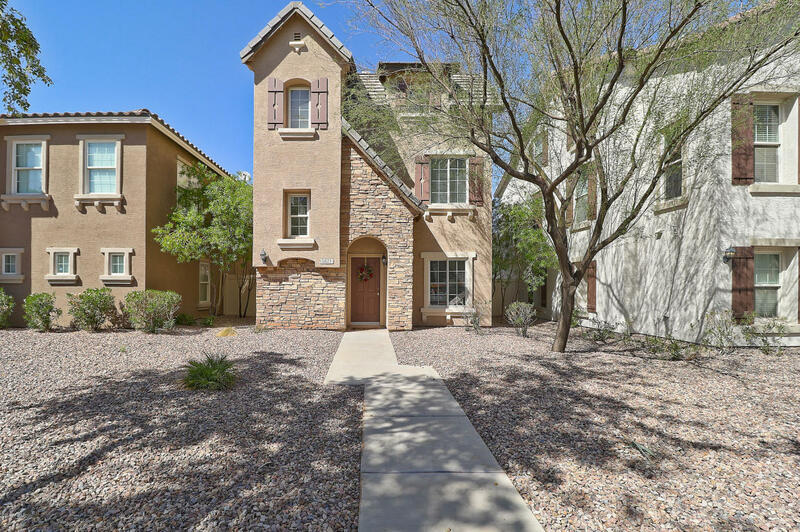 Centrally located this neighbordhood is minutes to Phoenix Airport, Farm at South Mountain, hiking & biking trails at South Mountain, golfing, shopping & freeway access. This home features 3 spacious bedrooms, 2.5 baths, and 2 car garage. New interior paint 2018 & exterior 2017. Entry level has an open bonus room (TV room/office), 1/2 bath, laundry room & garage access. Second level offers open kitchen w granite counters and newer black appliances, spacious great room, and 2 bedrooms with a full bath. Continue to third level where you will find private master bedroom with full master bath, large walk-in closet & sitting area. Immaculate home in a great community. Come check this one out.